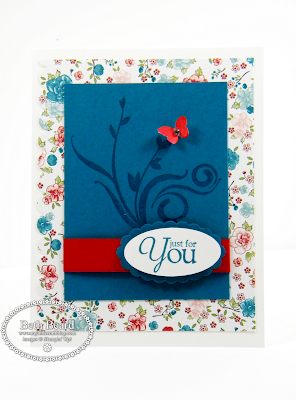 My card today was made with the new Twitterpatted Designer Series Paper from the Occasions Mini Catalog. 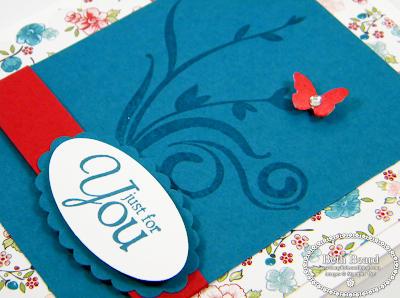 The image & greeting are from Precious Butterflies stamp set. Receive $5 Rebate for completing a 10 question survey. Rebates are limited to one per customer, per order and for a LIMITED TIME with purchase from my on-line Stampin' Up! store. 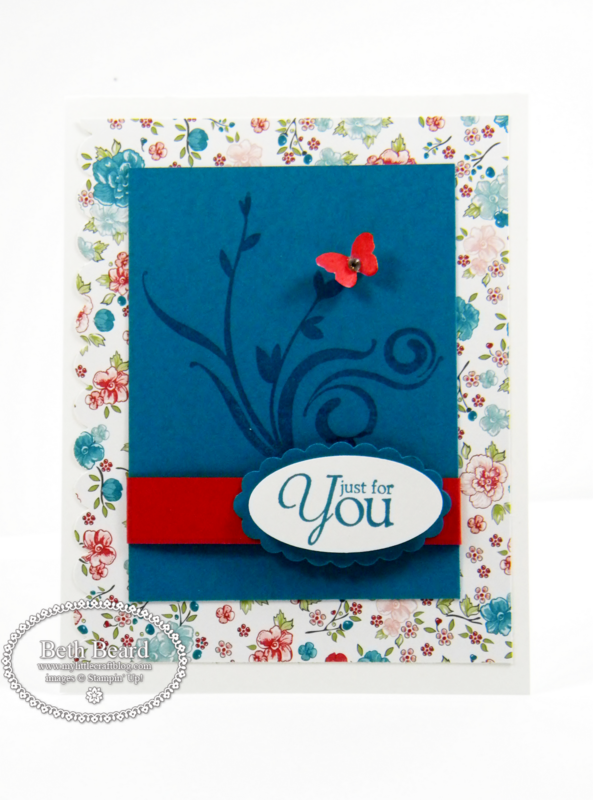 This offer is not endorsed by Stampin' Up! and only offered on My Little Craft Blog. Your $5 rebate check will be automatically mailed to you within 7 days after your on-line Stampin' Up! purchase. Thank you for participating. I value your opinion!